"The Voice" has been getting stronger each season, but that doesn't mean it's not ready to shake things up. NBC's hit reality show announced that it will bring in Usher and Shakira as coaches to replace Cee Lo Green and Christina Aguilera when the reality series returns next spring for its fourth cycle, E! News confirms. But Team Cee Lo and Team Xtina fans need not worry, they won't be gone forever. Did you watch the last day of blind auditions? "Doing two back-to-back cycles of this show requires a tremendous amount of time, and we are happy to accommodate the commitments made by Christina and Cee Lo," chairman of NBC Entertainment Robert Greenblatt said in a statement obtained by E! News. "The participants on our show benefit from our coaches' expertise and their continued success in the music business allows for significant new contributions to the contestants when they return." Basically, Aguilera and Green both have other engagements they need to fulfill, so Usher and Shakira will step in, but once it's time for season five, viewers will see Xtina and Cee Lo (and whatever animal he decides to bring with him) back on the small screen. As for the bromance that is Adam Levine and Blake Shelton — that's not going anywhere. 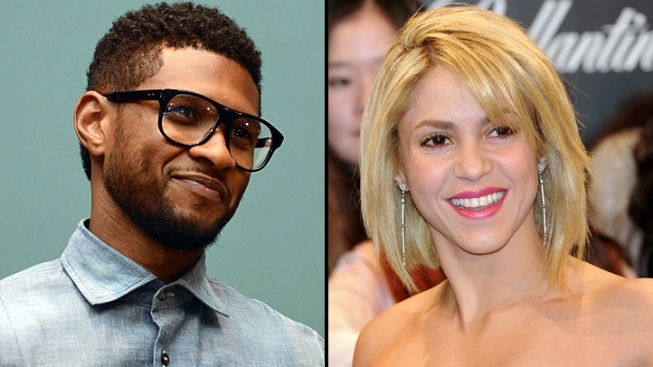 Are you excited to see Usher and Shakira take on "The Voice?" Let us know in the comments!